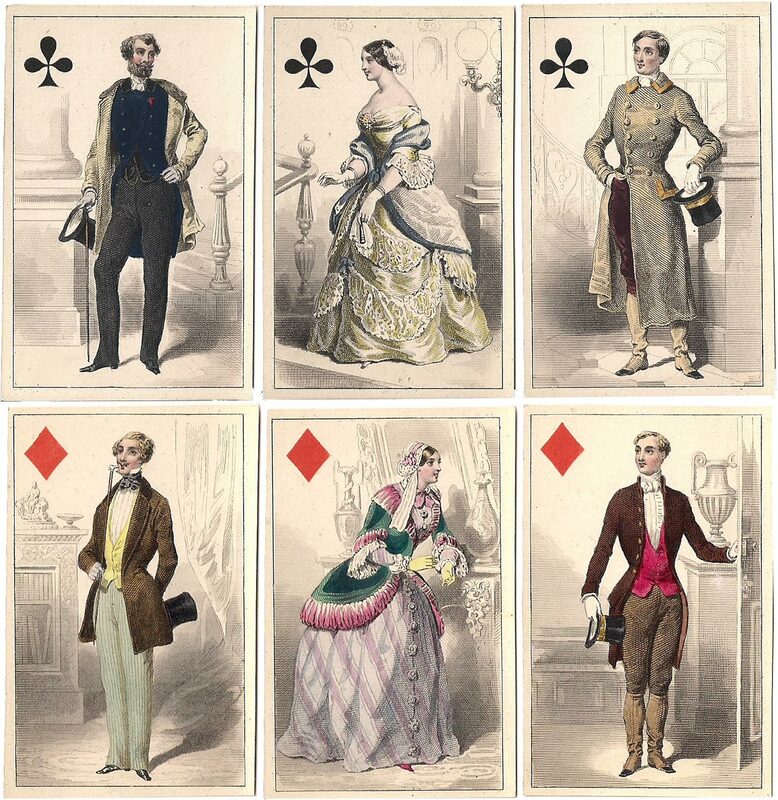 The French taste for elegant, well engraved costume playing cards started during the early 19th century. 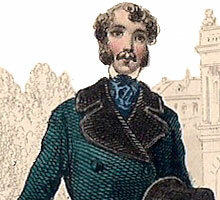 O. Gibert of Paris produced a series of such fashion packs, or packs depicting historical characters. This example is known as 'Cartes Parisiennes'. Being hand coloured, there was no consistency from deck to deck. Each version surpasses the last one in exquisiteness, delicacy and charm. 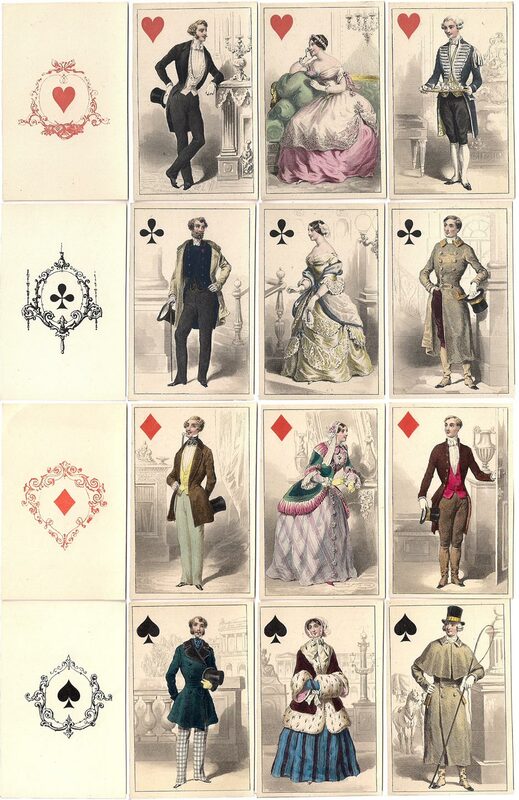 Above: French Costume playing cards published by O. Gibert, Paris, c.1850. The cards measure approximately 2¼ x 3½ inches [85x54 mms]. Because they were hand made, they are not all exactly the same size, some cards vary by just a tiny bit. The backs are overall plain pink or blue. Images courtesy Rod Starling.